Yesterday I found out that an out of town real estate agent has a new foreclosure listing in Lakewood.The address for this house is 526 Walnut Lane. 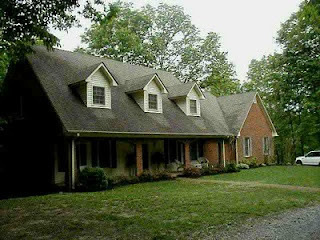 This is a 5 bedroom 3.5 bath brick home sitting on 1.5 acres and was built in 1988. This house last sold in 2005 for $204,000 but is now listed for $191,800. Call me if you are interested in viewing or possible purchasing this property.